Apple has officially launched iTunes Match – the iCloud-based music storage service which allows users to back-up their entire music library with Apple’s servers. iTunes Match ‘matches’ all songs in your iTunes library and stores them in the iCloud, and importantly, even those tracks which are unavailable through the iTunes Store. There is currently a 25,000 song limit, however no songs bought through iTunes’ 18 million-track catalogue will count towards that total. 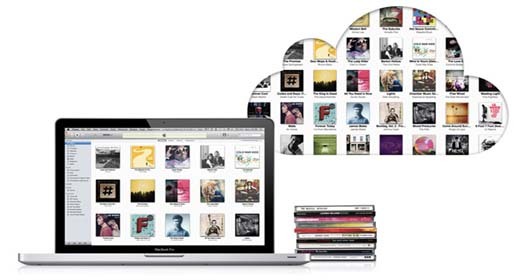 iTunes Match is a subscription service, and provides a reliable and instantly-accessible backup of your whole music library for $24.99/year. While internet access is required to retrieve your music, iTunes Match effectively does away with the need to backup your music on external hard-drives. Perhaps one of the most exciting features of iTunes Match is the automatic upgrade system which will replace any low-quality MP3’s with high-quality 256kbps files. There is no extra cost associated with the upgrade, but the service is only available on songs from the iTunes catalogue. Through the iCloud, iTunes Match makes all your music immediately available to all of your Apple devices – Mac, iPhone, iPad, iPod Touch – but as iTunes Match is not a streaming service, you will need to download the songs or albums that you would like to play before you can listen. The iTunes Match service is now available internationally.